A great flashback and time waster. If you enjoy the game and play it occasionally then the following flash game will not beat you unless you make a dumb move. One of the better online versions. The challenge is to get a decent score on the existing leader board. They do not specify what wins get a good score. Both winning fast and getting 6 or more in a line doesn’t seem to matter. But some of the usual high scorers seem to have cracked it. Connect Four is like vertical tic-tac-toe, use your mind and skill to defeat the game! Connect four has been mathematically solved here which is an interesting read. The principal is that if you go first and take the middle column then you will win if you have a “perfect game”. Getting this result in practice is not as easy. If you are the first to move and take either column next to the middle then you can also guarantee a draw. 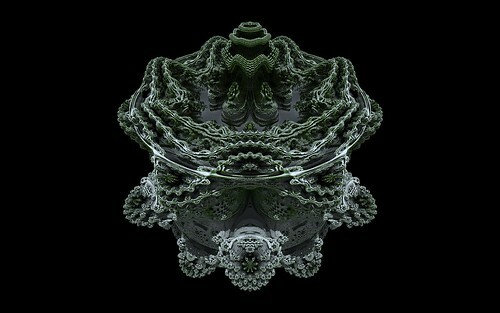 The Mandelbulb mayhem continues. 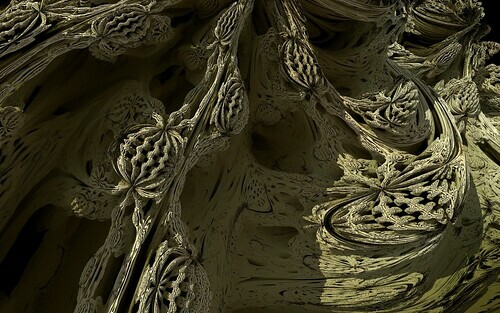 The Mandelbulb is not the true 3D representation of the Mandelbrot Set but that doesn’t stop people from manipulating the base formulas and coming up withe new variations of the Mandelbulb and Juliabulb formulas. Even though it is not the true mathematical 3D Mandelbrot the Mandelbulbs are a good teasing glimpse into what the true version would be like. They show the fractal structure of bulbs within bulbs when zooming into them and there are more areas to discover the deeper you go. 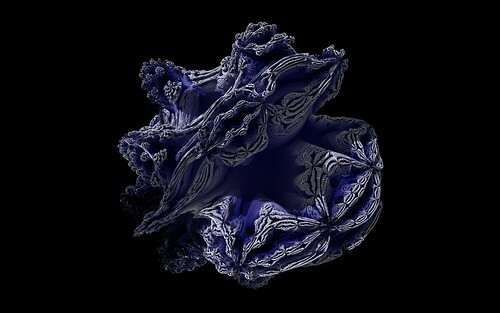 Here are a few new variations I have included in the latest version of Visions Of Chaos. 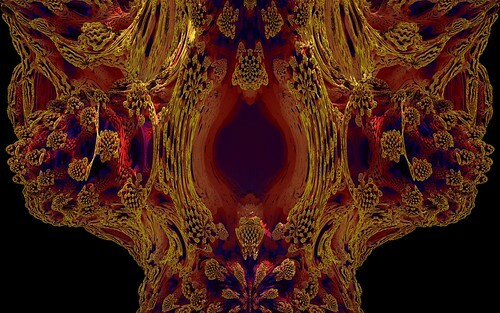 Michael Bach has a great selection of optical illusions on his page here. They all have an explanation for how they trick the mind and eyes. Some of the well known classic effects and a bunch I had not seen before.